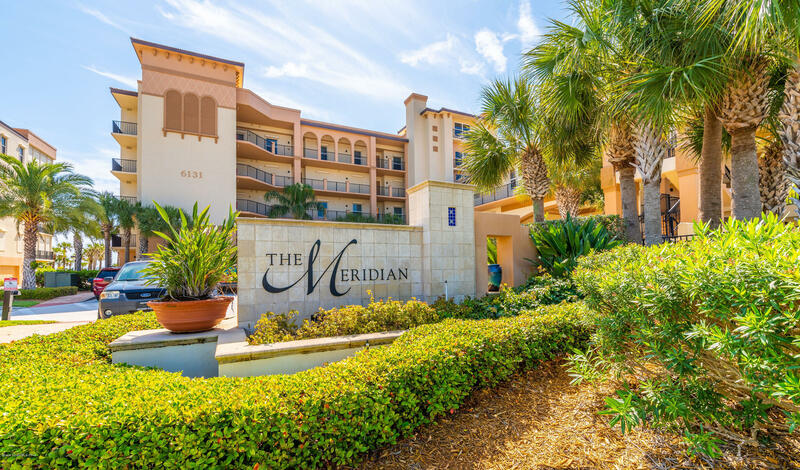 The Meridian is Resort Style Living At It's Best, not just a condo, it's a lifestyle! Huge (62') Heated Pool & Spa area, Fully Equipped Gym, Private Beach Walk, Spacious & Luxurious Clubhouse. Newer Built in 2007, this 3 bedroom 2 bath SECOND FLOOR - DIRECT OCEANFRONT has 10' Ceilings & electric storm shutters covering all windows and balcony and many designer upgrades to include Silstone Countertops & Wood Cabinetry throughout, Tile on the Diagonal, Crown Molding. Spacious flowing floor plan with over 2,000 sq. ft, Eat-in Kitchen, separate Laundry Room, Living Room/Dining Room and Master Bedroom open onto the spacious balcony. Private Garage under the bldg. and lots of additional parking. Come see what you have been missing.